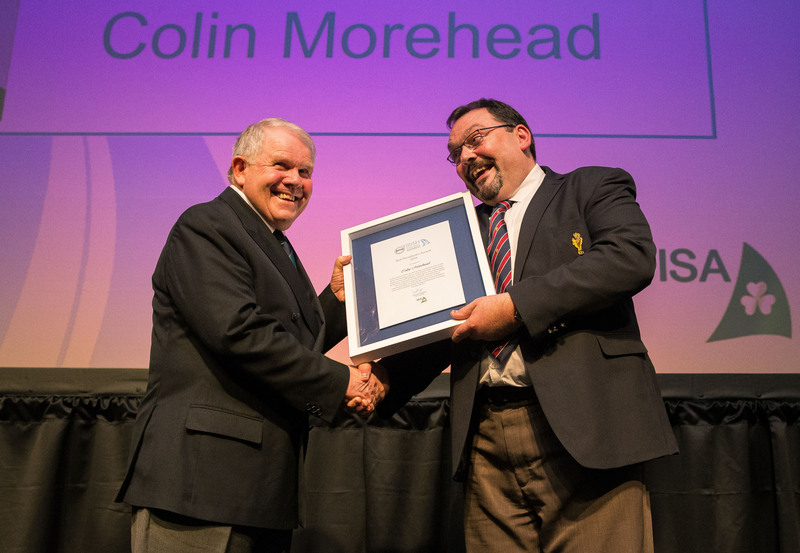 At the recent Volvo Irish Sailing Awards, hosted by the Irish Sailing Association (ISA), club member Colin Morehead was awarded the inaugural ISA Presidents Award by ISA President David Lovegrove. The annual event drew a record crowd of nearly 400 people from across the sailing community to celebrate an historic year of sailing in 2016. 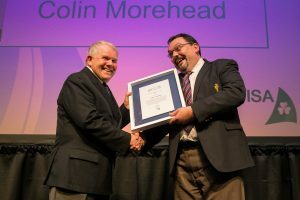 Colin was honoured for his success with the “Try Sailing” programme at the Royal Cork Yacht Club, with over one hundred adults trying sailing for the first time. Colin has been a member of the Royal Cork Yacht Club for over 40 years and has been an active dinghy and keelboat sailor over this time. He is a former White Sail class captain, Chair of the Bar, House and Catering committee. Colin is the Chairman of the clubs Tricentenary Committee that will be celebrated in 2020, he is also a member of the ISA Access and Participation policy group and is the club ISA Try Sailing Ambassador. Well done from everyone at the Club.